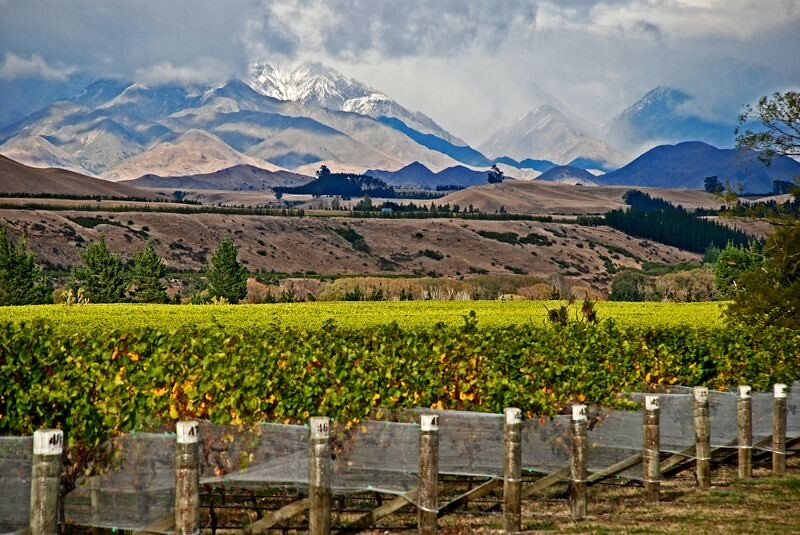 New Zealand is beyond famous for its beauty. When you think about it though, this fame comes largely from just a handful of things: a few famous sites, areas used to set scenes in famous films, and things of that nature. These things are by no means misleading, but if anything they undersell New Zealand by failing to show the whole picture. That is to say, the country’s beauty extends well beyond the first few highlights you might think of. 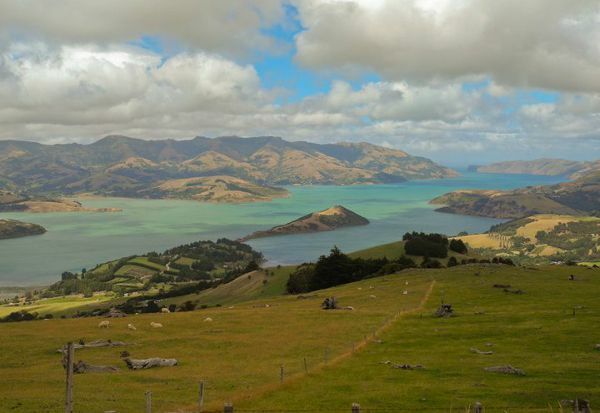 To better encapsulate the totality of New Zealand’s visual appeal, we wanted to list a few of its most striking sites that you may not have heard of or looked into closely. 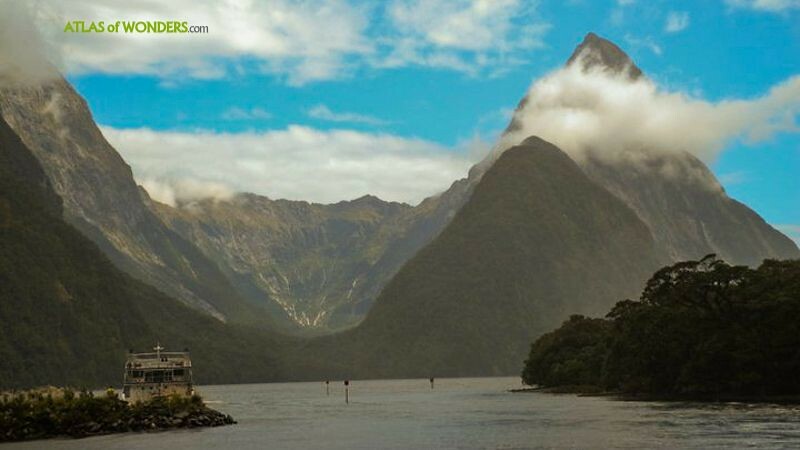 Milford Sound is the kind of place that just looks like it would be showcased to the world in everything from postcards, to Hollywood films, to computer screensaver scenes. Yet it really doesn’t seem to have this kind of international recognition. Its most prominent exposure is perhaps from the film Alien: Covenant, and given that that’s a sci-fi production it doesn’t exactly showcase the sound in a natural, appealing manner. The reality is that this is an extraordinary body of water - an expansive sound that shimmers in the sun and which is bordered by towering mountains that seem to disappear right into the water. If we’re thinking in terms of pure fame, or how recognizable a given site is, Nelson Lakes National Park is one of the great hidden gems, not just of New Zealand but of all of Oceania, or perhaps the entire world. 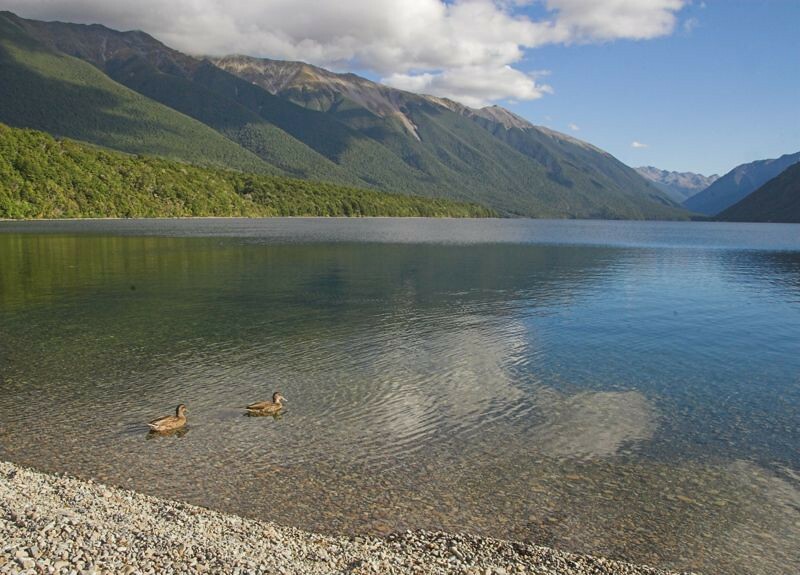 Something of a gateway to the Southern Alps, this park is home to massive, mountain-bordered lakes that mirror the sky above and display a picture of untouched, extraordinary natural beauty. 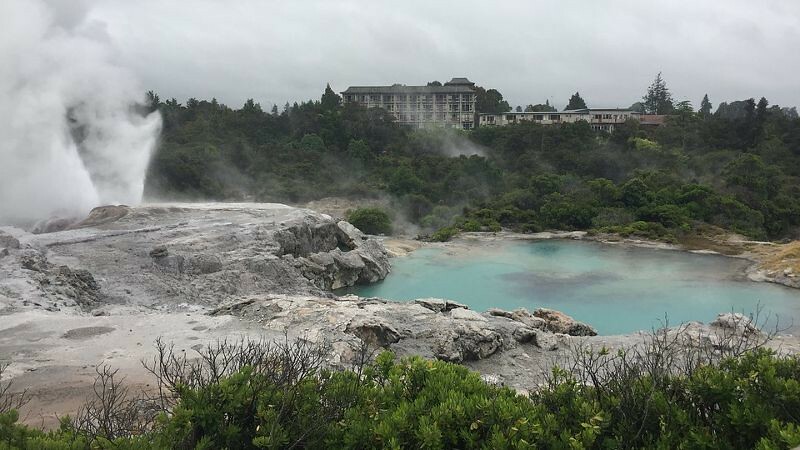 Rotorua is both a town and a lake on the North Island of New Zealand, and it’s a place Atlas of Wonders has profiled before. Truth be told it would be a beautiful area if it were completely ordinary. But it also happens to be home to an incredible geothermal zone full of multicolored geysers and hot springs that look to be almost not of this Earth. 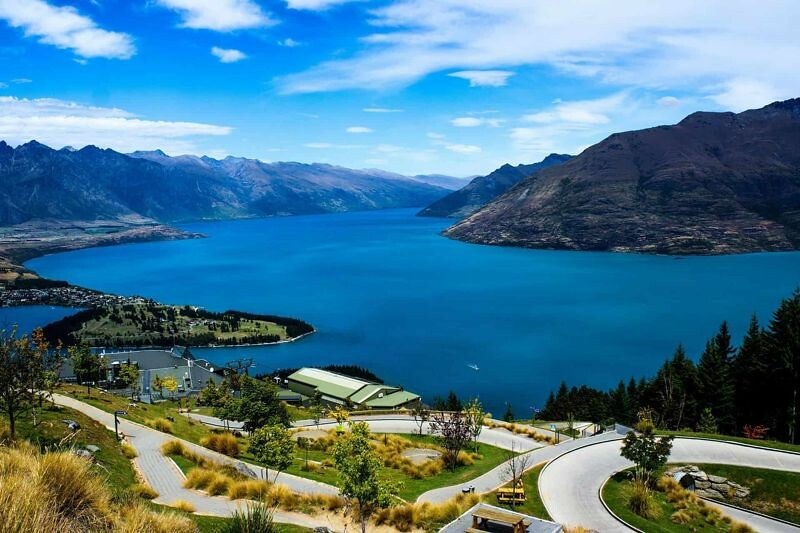 There are some man-made attractions that also contribute to New Zealand’s extraordinary beauty, and the gondola system over the city of Queenstown is certainly among them. Granted, it’s not the gondola itself so much as the views it affords you that are beautiful, but this attraction is worth your while all the same. 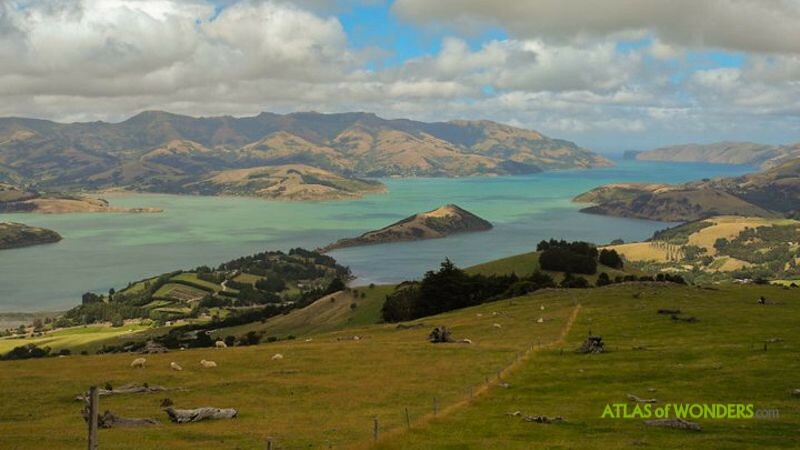 There’s nothing quite like a slow, peaceful journey over this sprawling city, with views of the surrounding mountains (some capped with snow and frequented by skiers and snowboarders) and the famous Lake Wakatipi below. 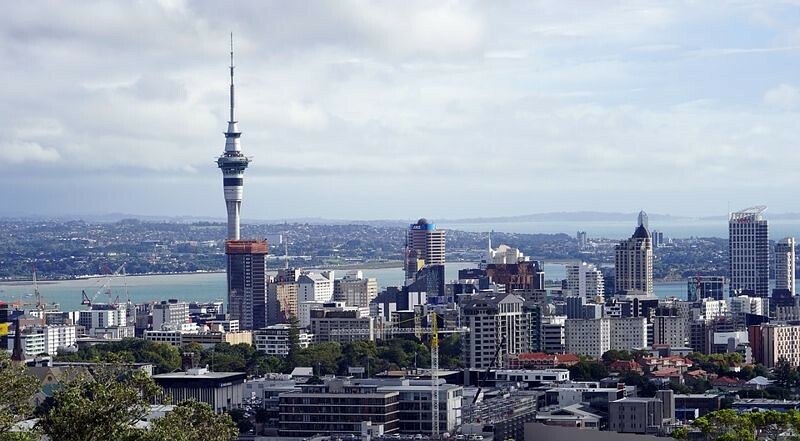 Auckland’s SkyTower is first and foremost an entertainment center. It’s a fairly high-end resort with restaurants and hotel facilities, and even some thrill rides at the top. And despite the rise of gaming activity online in New Zealand, it also functions as an active casino. Some of these features can be lovely sights in and of themselves; the view from the top is extraordinary, and there can be something oddly pretty about a first-class casino. Really though, it’s the sight of the skyscraper itself we’re noting here. It’s a striking achievement in engineering and the most impressive reminder in the country that New Zealand isn’t just about nature. Imagine stumbling on a bright, turquoise river winding through a dense forest that all looks as if it’s never been seen or explored before, and you get the idea of the Hokitika Gorge. 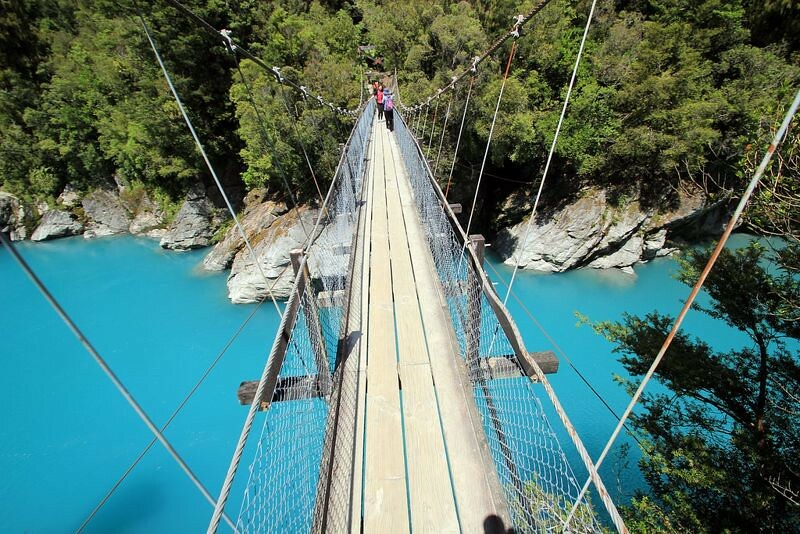 It’s located just a short distance outside of the actual town of Hokitika and is a popular hiking destination, and once you get there, there is a viewing area, as well as an accompanying bridge, that makes for a perfect place to take in the scenery. As with Rotorua - though in a somewhat more peaceful, relaxing way - its appearance is almost beyond Earthly wonder. Come to think of it, that’s not a bad quote with which to sum up this whole piece.